Mum is a playful girl who was confiscated by Animal Friends’ Humane Investigations Department from a less than ideal living situation. She and about 40 other cats were all living in one small home. All the cats from this home were given beautiful flower names to reflect their beautiful new lives! Many have been adopted, but Mum is still looking for a loving home. Mum is still skittish about loud noises but she gets along with other cats. She may actually benefit from a home with a confident resident feline to show her the ropes! She loves to play with toys to get some of her energy out, but she loves lounging on a lap most of all. 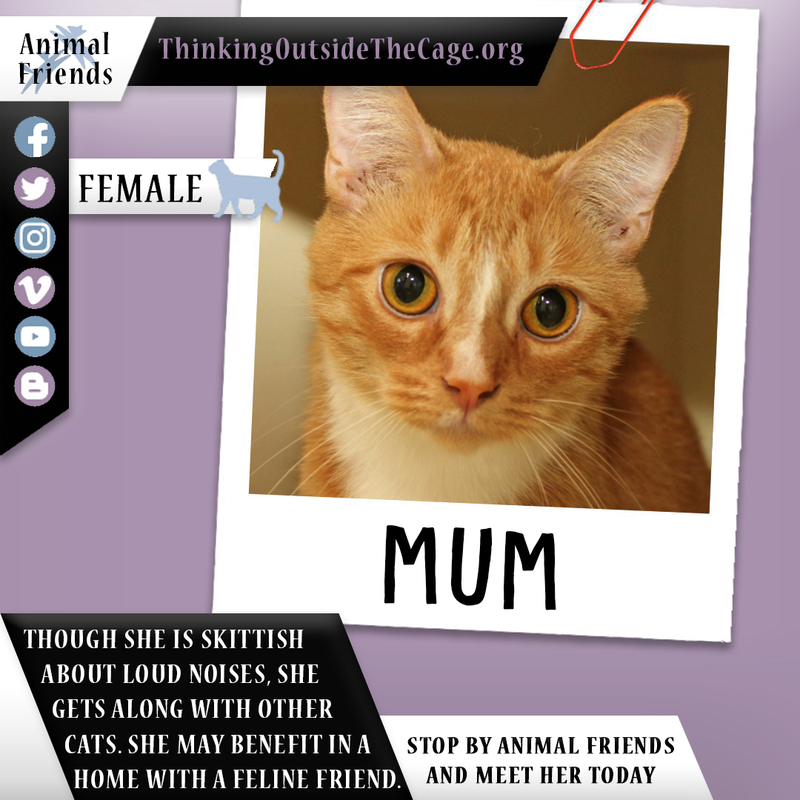 If you’re looking for a gorgeous lap cat, stop by Animal Friends to meet Mum today.